Hey Friends sorry for long wait , Dreamwheels has come with new story of BMW family form the Detroit.From the racetrack straight to the road: this year’s BMW stall focuses on the world premieres of the new BMW M4 Coupe and the new BMW M3 Sedan.Another highlight is set by the introduction of the new member in the family first-ever BMW 2 Series Coupe, displayed as an M Performance Automobile M235i as well as the 228i as Sport Line. Both cars are a focal point of the architecture in the central highlight stage, lined up in pole position and waiting to be discovered.Additionally the Visitors will be electrified by the presentation of the BMW i3 and BMW i8.Experience BMW at the North American International Auto Show (13th to 26th January 2014) in Detroit (MI). M The most powerful letter in the BMW world. 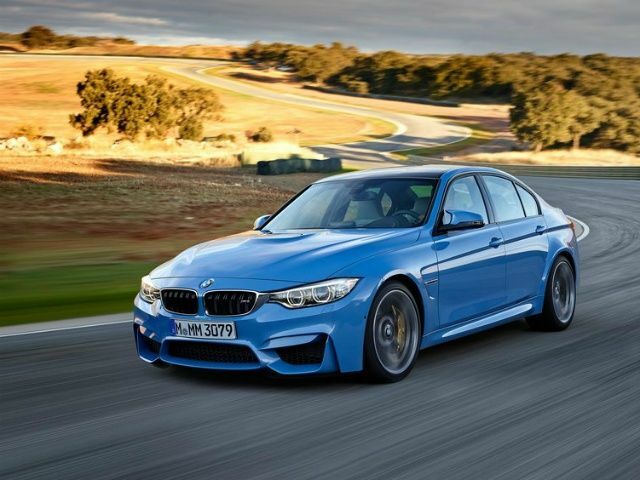 The BMW M3 Sedan combines the typical M motor sport genes with unlimited suitability for everyday use. This high-performance automobile even appears to defy the limits of physics and takes driving pleasure to new heights. All this is made possible by an absolutely coherent total vehicle concept. At the heart of this concept is the 431 hp M drive train, completely redeveloped by M engineers. While it unfolds its enormous power with a continually spontaneous rotational speed of up to 7,600 rpm, its numerous motor sport technologies enable an optimal response. M TwinPower Turbo technology and an intelligent, comprehensive lightweight construction concept provide an agile driving experience. The lightweight construction not only reduces the vehicle’s total weight, but also lowers its centre of gravity and thus makes the car more agile and dynamic. The result: driving fascination with an unprecedented precision and confidence. The seemingly impossible is palpable here: man and machine become one. The BMW M4 Coupé is a precision tool in a holistic package. For more power, even better handling and an unforgettable driving experience – on the racetrack as on the street. A brief press of the start button is all it takes to bring the new straight 6-cylinder petrol engine with M TwinPower Turbo technology to life. With a striking sound and overwhelming immediacy, the power of this M drive train unfolds allowing you to experience the passion of the M engineers with all five senses. Its low centre of gravity makes it extraordinarily agile and nimble. The result of intelligent lightweight construction, through the use of innovative high-tech materials, is a total vehicle weight of less than 1,500 kg according to DIN. The primal force of the BMW M4 Coupé is evident in every detail. Striking air inlets in the front clarify the gigantic volume of air that cools the M drive train during its high-performance drives. The muscular powerdome delineates the contours of the turbocharger engine. And the extended bonnet signals the beginning of an athletic coupé line created from pure sportiness. The BMW M235i M Performance model is the embodiment of exceptional sportiness. And its dynamic potential is clear at first sight with the 18-inch M light alloy wheels with mixed tyres, Xenon Headlights and M Sport brakes. Wing mirror housings in Ferric Grey along with two exhaust pipes in dark chrome round off the sporty outfit. The ‘M’ model designation at the rear also, of course, leaves no doubt as to the superb performance on offer. All these visual cues are brought to life on the street by the remarkable capabilities of the BMW TwinPower Turbo inline six-cylinder petrol engine – accompanied by a unique sound. In combination with the eight-speed automatic transmission and Launch Control, the driving experience is beyond compare. With BMW ConnectedDrive, the BMW 2 Series Coupé offers the most progressive driver assistance and infotainment functions in its class. Redefining urban mobility means thinking far beyond environmentally-conscious and agile driving. The result: With its award winning design, the BMW i3 defines the automobile of tomorrow. Its innovative BMW eDrive power train was designed in the scope of the BMW EfficientDynamics technology and is not only locally emission-free, but also offers an incomparable and nearly silent driving experience. The intelligent BMW ConnectedDrive Services bring you easily and conveniently to your destination. 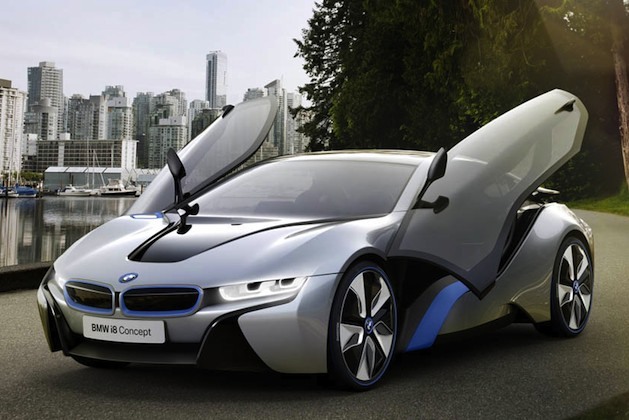 BMW i is a comprehensive and ground-breaking concept for sustainable mobility. It represents visionary electric vehicles and mobility services, inspiring design and a new understanding of premium that is strongly defined by sustainability. And it thrills with its innovative vehicles: the all-electric BMW i3, a locally emission-free vehicle for city driving that is sustainably designed throughout, and the BMW i8 as the future of the sports vehicle.